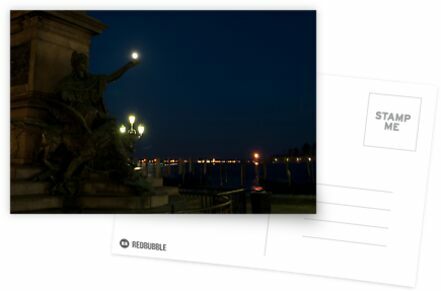 Moon being “held” in the palm of the hand of a statue in Venice, Italy. The bright moon echos the bright lights from the street lamps and the lamps along the water. Thanks – it was a fun shot to spot and photograph. Sorry for the late reply – I’ve been off on vacation without an internet connection!